Multiple contrast weighting MRI is an important imaging technique in clinical diagnosis. In this experiment, the mMRF version of QHCF algorithm (mQHCF) is applied on a set of ex-vivo atherosclerotic images. Carotid endarterectomy specimens were scanned using a custom designed surface coil on a 1.5T GE SIGNA scanner with the following contrast weightings: T1W, T2W, PDW, and TOF. Based on observation and empirical knowledge, the tissues identified by T2W and PDW MR images are quite similar. To reduce computation complexity in the segmentation process, T2W images were removed, reducing the data space dimensions to three. Figure 8.17: An example of ex-vivo atherosclerotic plaque segmentation with MCW MR images. (a)-(c) The region of interest in the original images in contrast weighing T1W, T2W, and PDW, respectively. (d)-(f) The corresponding edge maps by Canny edge detector. The square is an example of the region for local CF computing. (g) (color) Segmentation result by the proposed mMRF method with dynamic weighting. (h) (color) Segmentation result without dynamic weighting. (i) (color) The segmentations with QHCF on PDW MR images only. The red arrows point the regions showing the different revilements of details with MCW w/n dynamic weighting and SWC segmentation methods. 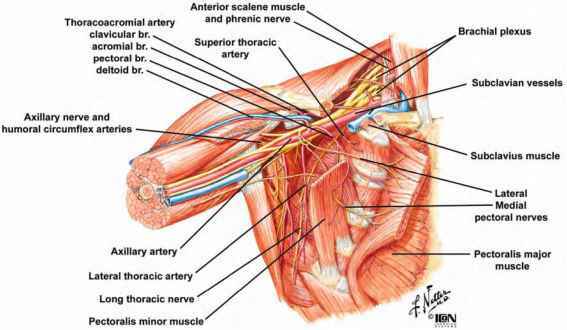 is an intersection of carotid artery. Figures 8.17(d)-8.17(f) are the Canny edge maps. In this experiment, we use local complexity factor to control the channel weighting; the small square represents the size of local range for complexity calculation in each channel. Figure 8.17(g) shows the segmented result. Compared with the segmented results shown in Fig. 8.17(h) (applying mQHCF only without dynamic weighting) and Fig. 8.17(i) (applying QHCF only on PDW channel) we can observe the fact that (i) segmentation result with MCW reveals more details than that with SCW; (ii) MCW with dynamic weighting can reveals more details (as shown in the area those red arrows pointing). Another factor deciding the algorithm's performance is the processing time. Even though QHCF/mQHCF are deterministic implementations of the random field with finite optimization time, the computation is still a big cost for practical interactive applications. In mMRF, with the dimension expansion in the random field model, the amount of computation increases dramatically. This augment comes from two parts: (i) the computation used to calculate energy function and confidence for each location; (ii) the updating of its neighboring pixels. For other components in the optimization process, such as the updating of heap structure and searching of highest confidence, there is no big change involved. Since it is hard to compare the computation complexity theoretically, some experiments have been designed to compare the segmentation time for single modality image and multiple modality images. The experimental environment is set up as shown in Table 8.3. The proposed algorithm was applied on 50 multiple contrast weighing MR images for each image size, the average time used for segmentation are given in Table 8.4. As a comparison, the average segmentation time for single modality image (T1W) is also listed. These experimental results indicate that the computation used for mMRF model is larger than that for single contrast weighting images. (i) Low processing speed: From the experimental results in Table 8.4, the time used for multiple contrast weighting MR images is much longer than that for single contrast weighting ones, which is intolerable for practical interactive MR image analysis systems. (ii) Independency assumption: In mMRF model, it is assumed that the signals in all the channels are regarded as independent as expressed in Eq. (8.42). However, in anthrosclerotic plaque study, even though the dependences among different contrast weighting images are unclear, there is no guarantee of their independency. Therefore, there is a risk that this assumption might be violated when new contrast weighting data is introduced.